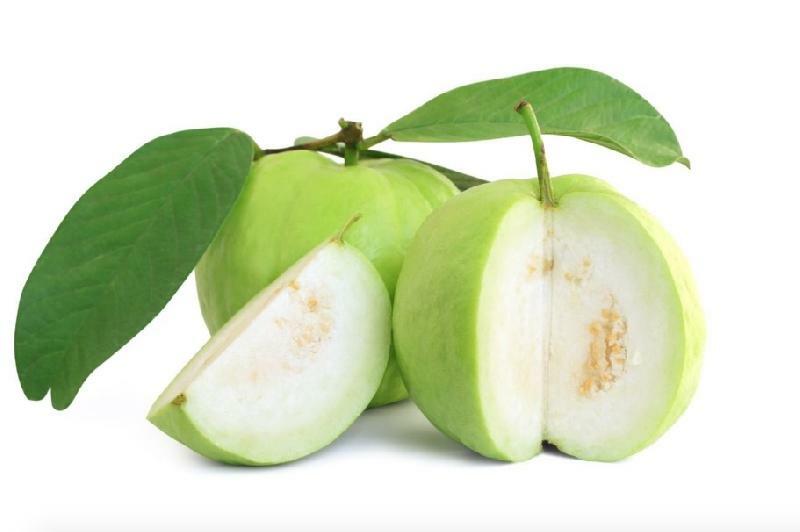 The guava fruit is round and elongated ,or round and flat . The skin is smooth or rough , depending on the variety.The color is light green to green . The flesh is white , thick and dense. The unripe Fruit is crisp and becomes soft when ripe.